There are over 22 million landlords in the United States and each one has a different origin story of how they became part of the rental industry. At Rentec Direct, we are pleased to serve this industry by providing a tool to simplify property management. Lucky for us, we get to work with awesome investors like Dave Ritterling who manages rentals in Colorado. Dave Ritterling and his wife purchased their first properties in the early 2000’s and had a property manager looking over their investments at the time. As a franchise executive for Visiting Angels Senior Care and business owner, Dave was used to wearing many hats, and when the time came for him to manage his investment properties, he was ready to dive in. I’m always interested in getting to know new and old clients and hear the interesting stories Rentec Direct clients have to offer regarding their experiences in the property management industry. I asked Dave if he would be willing to share a bit about himself with everyone, and he kindly obliged. Can you tell our readers about yourself (and your rental experience)? I’m a franchise executive and business owner so I’ve not been focused on property management until recently. We had a novice manager for 10 years but have now taken back the reigns when we sold our homecare business in November of 2016. I love to do business coaching and mentoring, broadcasting, and Jeeping the Colorado mountains with my Rubicon. How did you first get into property management? We bought our properties in the early 2000’s so we put ourselves into the game. There were some tough years getting used to the management challenges but over time, we have managed to keep our renter relationships for many years. We have some that have been with us from the beginning. Being in home care, we are relational, but it has been one of the bigger challenges in our professional careers. Tell us about your strengths as a property manager? 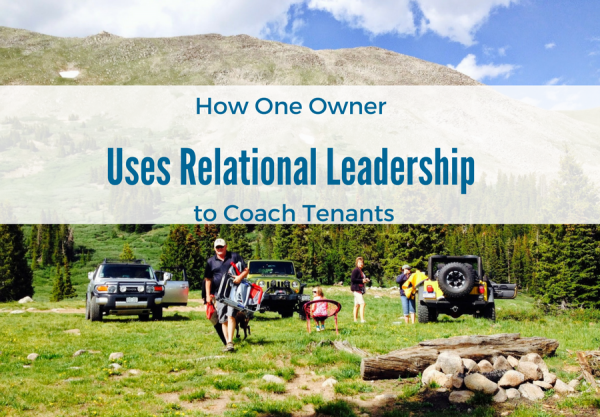 Relational leadership is a strength in guiding and coaching your tenants. They have to know that you care about them and the relationship needs to be defined financially, but the focus needs to be on them. Encouraging check in calls, regular communication and interaction are important. Don’t take tenants that you don’t feel you can talk to. Being firm on the rules and payments; however, understanding and empathic are critical traits to success in dealing with people. What do you think is the best service a landlord can provide his renters? Partnership is important; most renters have experienced marginalization and are expecting to be treated poorly. Encouraging positive interaction creates a long term tenant. Quick response to maintenance issues is very important. I have an open door for anyone who needs to talk, share a problem, or get guidance. This is a relational business and requires a connection to be successful in long-term management. My worst story was last year, in which a renter started an illegal grow in the basement which drew a mite infestation. He wouldn’t let me or an exterminator into the home. It was a lengthy, legally intensive, situation. Really, all of it caused by the failure of our manager to do a background check. I have more stories than time to write about them. What have you found to be the most effective marketing strategy to fill rental vacancies? Often word of mouth is the best strategy. Happy renters tell others about you and you should get many calls. I’m new to Rentec Direct but am looking forward to becoming more professional and digital. Currently, Craigslist is the best source for us. What’s one piece of equipment or technology that makes your life as a property manager easier/that you can’t live without? Rentec Direct has made the communication and management part so much easier. We took back the responsibilities with virtually no monthly accounting feedback and we have learned so much since we have. Our profitability has increased 20% and we have been able to get the feedback we need to adjust rents as costs go up, not a year later. We found the software easy to use and the communication with our renters has increased. What is your greatest accomplishment outside of property management? I’ve been in broadcasting for years and have written and produced television commercials nationally for years. 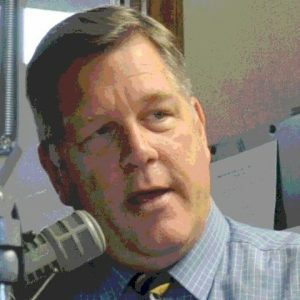 I have the longest running senior program in America on iheartradio and in southern Colorado. I was the champion on Hollywood Squares in the early 80’s and used the awards, and trips for our honeymoon and startup. What advice do you have for someone just starting out as a landlord or property manager? There is more to this than the investment of money. 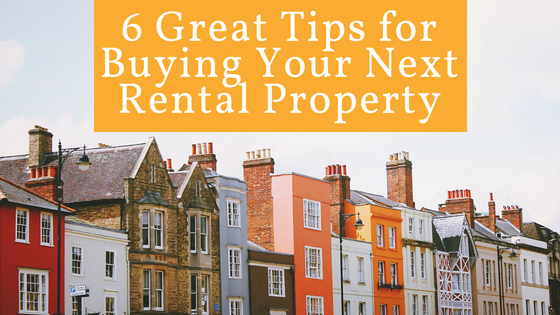 Be patient, be diligent in renting to the right people. If you roll the dice on people without a deposit and on a gut feeling, you will likely lose. Regardless of the quality of the housing, low-end, high-end, remember to treat people with respect in the same way you would expect to be treated. You can actually enjoy serving others while building your wealth and portfolio. I would like to give a big thank you to Dave for sharing his property management experience with us, and for reminding us how important fostering good relationships with tenants is within the industry. It’s easy to get caught up in the nitty-gritty of day-to-day management tasks and let customer service fall by the wayside, but it can truly impact your bottom line in a variety of ways. 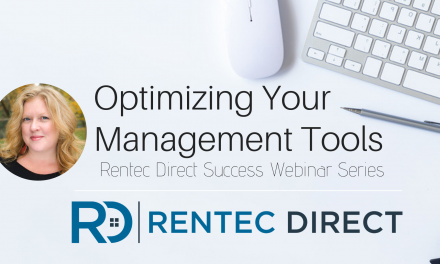 If you or someone you know is a client of Rentec and would like to have the chance to share property management insights with your peers, email us to nominate your pick at success@rentecdirect.com! PreviousHow Safe Are Your Tenants?